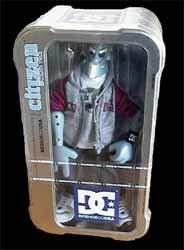 Blend is a fully poseable figure with 18 points of articulation featuring authentic clothing from DC Shoe Co USA. The clothing for Blend is incredibly detailed. He has a T-shirt, a hooded top, sweat band, baggy jeans, socks and cool trainers. 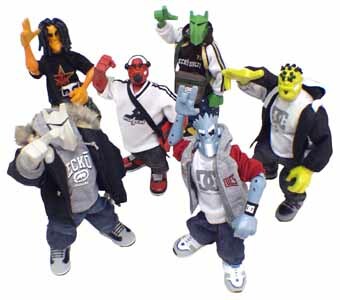 The attention to detail is amazing, and if you care about your fashion, then you'll love these action figures.